Keratoprosthesis is a surgical procedure where a diseased or damaged cornea is replaced with an artificial cornea. This is different from a typical corneal transplant because no donor tissue is being used. Keratoprosthesis is used to restore vision in patients that are suffering from seriously damanaged cornea, due to congenital birth defects, infections, injuries, and burns. 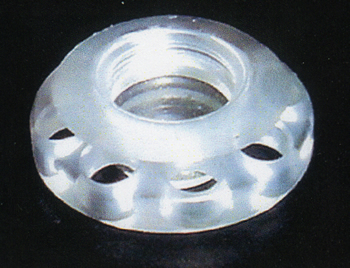 Keratoprotheses are made of clear plastic with excellent tissue tolerance and optical properties. They vary in design, size and even the implantation techniques may differ from different treatment centers. 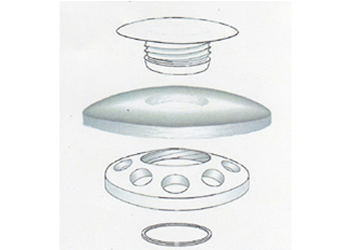 The most frequently implanted keratoprosthesis device is the Boston type 1 Keratoprosthesis (KPro), with over 10,000 implanted to date (Dr. Dohlman, Massachusetts Eye and Ear infirmary, personal communication). The KPro is an effective surgical intervention to rehabilitate eyes with sever ocular surface disease. Sixty-four percent of patients who regained vision after keratoprosthesis implantation in a study conducted from May 1, 2004 until May 1 2011, kept the same level of vision at the final follow-up visit. 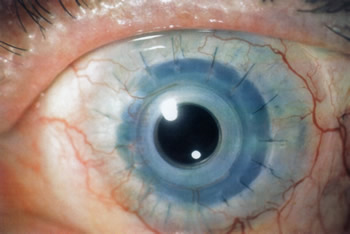 Glaucoma was seen in the other patients who were not able to maintain or obtain any corrected distance vision (Arvena).